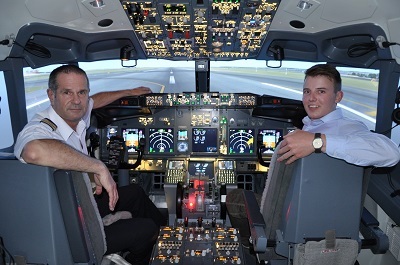 Rob Avery and an airline cadet in a B737 EFIS simulator. · Navigation 11th Nov to 16th Nov 2019. · Performance and Loading 26th Nov to 30th Nov 2019. · Flight Planning 14th Jan 2020 to 27th Jan 2020. Click here to enrol online in these or other distance versions of any/all seven ATPL subjects as you prefer. You can upgrade to the in-class version of the four major subjects down-track if you prefer (space available). Contact Jasmin Johnson at MFS directly to enrol/pay for any of these four subjects. The four in-class subjects are covered over six consecutive weeks followed by the four corresponding CASA examinations. This is slightly longer than may be offered elsewhere and gives you more subject exposure time to significantly increase your prospects of a first sit exam pass. The idea being to have you ready to sit the CASA exam at course end. The extra class time allows for a more personalised learning experience enhanced further through limited student numbers per class so you will not find yourself competing with dozens of other students for timely instructor guidance. Potential students are advised to book early to avoid disappointment. The MFS classroom facility at 55 Grange Rd, Moorabbin airport will suit both local and interstate pilots as there is good transport and accommodation nearby. A large food court is just across the road. · Meteorology. Course cost $220.00 inc GST. · Human Performance and Limitations. Course cost $275.00 inc GST. All seven course subjects come with full hard copy training texts coupled with progressive online multi-choice quiz's prior to sitting the CASA examination, and a host of CASA style online practice exams to get you truly CASA exam focused and discover and correct any misunderstandings prior to sitting the CASA examination. An instructor helpline is provided also. Rob Avery has built a reputation of delivering high quality pilot training both in-class and via distance learning courses for over two decades. During this time, there has been consistently very high first-sit pass rates and pass scores among the students. Historically in fact the highest first-sit pass rate nationwide. MFS use Rob's 'easy learning' format that provides fast knowledge uptake with the least hassle and stress. All courses come with comprehensive course notes (hard copy) and access to an online supporting cyber-assignments. These can be sourced from most pilot supply shops nationwide. There is plenty of reasonably priced accommodation, most within easy drive of the training facility. The class size is capped at 18 to allow a more personlised service to students. Individual subjects are offered for students, some of whom may have already passed some subject examinations. This is provided by Rob for your immediate assistance in-class, or by phone or email. Course access and helpline remain in place until you pass the CASA exam concerned. Additional to the enrollment cost. All practice exams are written at CASA examination depth and style. They are regularly updated to reflect any changes in the examinations and regulations. MFS endeavour to reply to your enrollments and queries within 48 hours. If you haven't received a reply by this time we suggest you look in your "Spam Folder" just in case our reply is there. When emailing if you could include a contact number so we can follow up on our reply. You can pay by credit card, personal cheque, bank check, direct debit or cash. All course fees are receipted, and the course is usually tax deductible for those working as pilots. If in doubt please seek advice from your tax professional prior to enrolling to confirm if you are eligible to claim the cost of the course against tax. ATPL studies represent the Olympics of pilot theory training. There are no "short-cuts" but there are lots of trip-wires you can set for yourself. You should seriously consider the merits of attending class lectures for the four most challenging subjects of Navigation, Flight Planning, Performance and Loading, and Aerodynamics and Systems. Self study with patched together information is not practical for these or any ATPL subjects - you will just paint yourself into a corner ! Remember that airlines will have access to your CASA exam file and may judge you harshly if you needed multiple attempts at any subject. This may prove an inhibitor to your on-going career job prospects. The cost of multiple re-sitting of CASA exams should be considered also. Your prospects of passing all seven ATPL subjects within the given two year PEXO time frame will be much enhanced if you attend the in-class sessions for the four most challenging subjects. Airlines are primarily looking for pilots who can be trained and who pass their internal courses and type endorsements on first attempt. 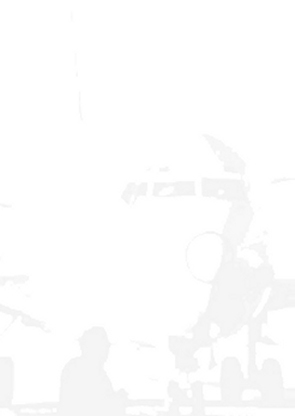 The ATPL examinations are viewed as a filter by the airlines. Passing them is generally a pre-requisite before you will be considered for an interview with major airlines, irrespective of the flying experience you may possess. Q. How long does my access last once enrolled ? A. Your enrollment fee is good for 2 years from the date you pay for your course. Q. I understand the ATPL examinations are challenging. Having done the MFS/Rob Avery ATPL courses, what are the chances of gaining a CASA examination pass on first attempt ? A. Historically the vast majority who study using the Rob Avery courseware pass each of the CASA examinations on first attempt. Of course the student also needs to put in the work to achieve a pass. Q. Are the course notes updated regularly ? A. Updating the courseware is something that is taken very seriously and modifications and improvements are done on a weekly basis to reflect the CASA demands of candidates. Q. I hear the Flight Planning subject is demanding ? A. As we supply the correct teaching, use superior courseware, techniques and strictly the limit class sizes you should not find this subject too difficult at all. As with any subject at this level you will need to put in the effort both during and after class. Q. What if I fail to pass the CASA exam for a particular in-class course subject. Am I allowed class access free of charge so I can find any errors in my thinking or working ? A. Yes you may attend one more series of in-class sessions provided space is available if it is within two years of your first in-class session. There is no additional cost for this. Q. Do I need to hold the seven ATPL frozen theory credits to get an interview for an airline job ? A. In most cases yes. Q. I understand there is some minor pre-course preparation studies for me to undertake prior to the in-class sessions. Can you tell me about this ? A. Yes Rob will assign you access codes so you can go through some introductory parts of the course via a dedicated online website for each subject you enrol in. Study of these pre-course study modules will let you "hit the ground running" when you start the in-class sessions, making these sessions less demanding and productive. It is assumed you will have undertaken all pre-course study modules by day 1 of the subject you are enrolled in. Q. Are there plenty of CASA-style practice exams that I can attempt ? A. Yes there sure are plenty of CASA style multi-choice final examinations to get you CASA exam ready, all of which are CASA examination focused and at CASA depth. Typically, candidates finish each of the CASA examinations on or ahead of time. Q. Are there food outlets near the course venue ? A. Yes there are many major food outlets about 200 m from the classroom. Q Will I need to study after class hours ? A. Yes there will be some revision and reading to be done in your spare time. Download PDF of this course information here.